Born in Parkstone, Dorset 3 May 1905 the son of an Insurance Agent. 20th Oct 1929 Promoted from Pilot Officer to Flying Officer. 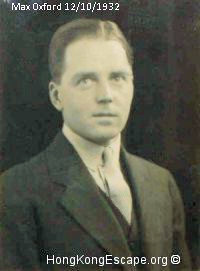 Squadron Leader Max Oxford RAF was invited to join the escape party on Christmas Day 1941 by the leader Mike Kendall. Admiral Chan Chak and Colonel S.K. Yee led the internal war on the 5th Columnists from the front, killing hundreds personally. 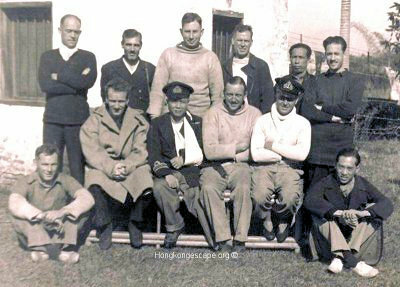 Max Oxford, Cdr Montague, Freddie Guest, Peter Macmillan, Bill Robinson, David MacDougall & Ted Ross left Kukong by truck to Nanxiong, an old walled town where there was an air strip. They flew out late that night, destination Chungking. After debriefing Max left Chungking on 31st January along with Supt Bill Robinson and Freddie Guest bound for Delhi via Calcutta. "Max was in the first wave of British administrators to return to Hong Kong after the Japanese occupation ended in August 1945. He arrived in early October, to manage the restoration of civil air service at Kai Tak airport, and found a territory devastated by war and occupation, but one that would get back on its feet remarkably quickly." Max Oxford's eldest daughter Emma has published a biography on her parents extaordinary lives including the Christmas Day escape from Hong Kong. 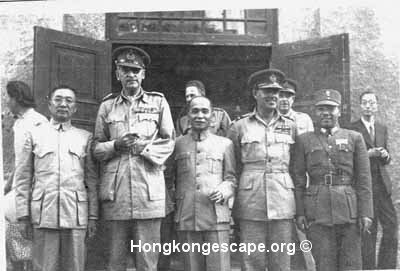 Winston Churchill's special envoy to Generalissimo Chiang Kai Shek, Lt-General Sir Adrian Carton de Wiart, VC, KBE, CB, CMG, DSO, Admiral Chan Chak KBE and other British and Chinese Military officials after de Wiart arrived in Chungking 18th December 1943. In a military career spanning 1899-1947, Adrian Carton de Wiart fought in 4 wars, and survived being shot in the stomach, groin, head, hand, ankle, hip and leg; surviving two plane crashes and five escape attempts from a POW camp. 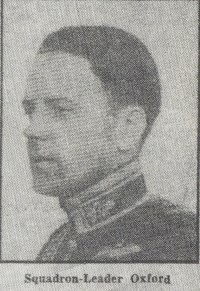 He lost an eye and a hand in 1915, but still won the Victoria Cross in 1916. 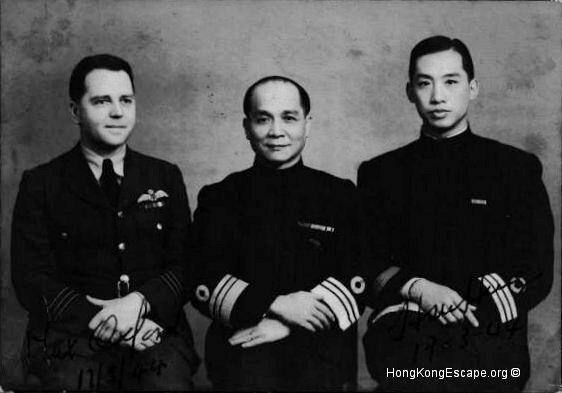 Acting Wing Commander Max Oxford, Adm Chan Chak K.B.E C. N. & Commander Hsu Heng (Henry) O.B.E. 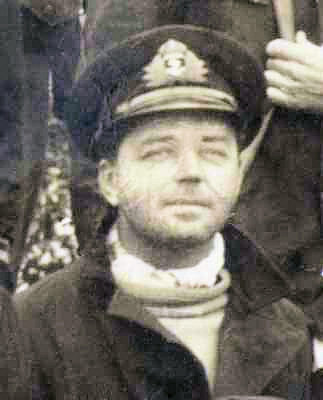 C. N 17th March 1944. Mayor [of Canton] Chan visiting Max Oxford now the Deputy Director of Civil Aviation in Hong Kong in 1946. Max was also Acting Chief Air Accident Investigator for Hong Kong. Adm Chan Chak became the first post war Mayor of Canton in 1945. 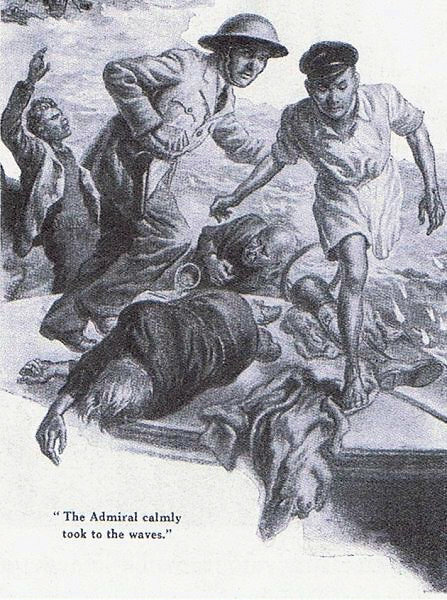 He resigned in 1946 to take the post of the first Commander-in-Chief of the post war Chinese Navy.